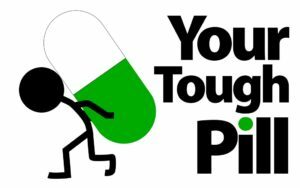 Your Tough Pill is a half hour medical reality show that guides a group of participants through a heartbreaking, soul-searching six-week challenge to conquer their bad habits in a face-to-face, tough love style. Dr. Gaziano and his team of medical experts will inform, inspire, cajole, and push their struggling participants – sometimes in the most UNCONVENTIONAL ways. In each episode volunteers take a “Tough Pill” to confront their bad habits, overcome their fears, and set course for a NEW LIFE. The “Tough Pill” consists of western and holistic medicine as well as creative, mental, and physical alternative healing modalities. Your Tough Pill’s target audience is women 18 to 49 which comprise the majority of the $100 billion plus self-help, health minded demographic. Viewers will identify with the participants’ character or condition and gain valuable and integrated health advice. The host, Dominic Gaziano, M.D., is a Chicago based practicing general medicine doctor. Dr. Gaziano has produced health shows for 15 years. Experienced in television appearances and producer of the internationally syndicated Health and Lifestyles Weekly, Dr. Gaziano brings his wealth of both medicine and television to the show.